This problem is more common than you think and this problem magnifies itself thru various times of the year. Shoulder seasons can typically be the more challenging times of the year to get comfortable in a bedroom at night. The opposite of this ‘My bedroom does not get warm enough’ can be addressed at the same time. System control integrated with design defeats temperature problems when addressed properly. If you have the above problem in which your bedroom rarely stays comfortable and it’s been determined it’s no fault of the air conditioner, then you likely have what is called a HVAC Design Problem. It is the invisible flaw until AC system performance is put thru heavy loads or heavy loads in one room with no system control. Design of your HVAC system determines how well it will perform in various areas of the home given certain attributes (loads) and the temperature you are attempting to achieve. HVAC Design for the most part is an invisible attribute and more often than not rarely thought of until long after the problem is discovered. Most people, when replacing their AC system think of replacing a box with another box when the AC system breaks. Everyone is different when it comes to what they deem as comfortable or uncomfortable which is another attribute with which to contend with. The HVAC retrofit (service) market is inherently slanted toward ‘just replacing a box’ and because of this design of the AC system is rarely addressed. Proper design for AC in regards to control of the system can get quite complicated as well as ratchet up installation costs. Much of this can be decided when it comes to how long you plan to stay in the home and how much you have budgeted to make your home a home by making it comfortable not only to sleep but also entertain guests. To grasp this a little easier is that control is temperature control in more than one area of the home. While this sounds simple, it is more complex for your HVAC system to do this properly because the area in which you are trying to cool or heat maybe much smaller of an area of the home such as a bedroom. The more control you have of your HVAC system along with proper design and installation, the better your system will provide you the comfort you are searching for. If your air conditioner suffers from a design flaw, there is but one option to fix it and that is to redesign it. Home builders build. Rarely do you find HVAC design a top priority in the home builder real estate market. This is what separates the retrofit AC pros from the builders. A professional HVAC company is built around ‘quality’ AC system installations and not ‘quantity.’ Service for life and not a badge of how many HVAC systems that were installed. Different mindset, requires different thinking. The Installation and design of an HVAC system determine the performance, longevity and overall satisfaction of the AC system. Customer service after the sale is the final part. When I install a HVAC system, I install it with the intent of coming back and servicing that AC equipment when that need arises. In fact, I do the same thing if the home owner decides to only replace one piece of their HVAC system. You see this isn’t only about what I want, it’s about what you want. However, there are limitations to everything. The consumer of today has more knowledge available to them than ever before, that is the other part of this blog is to inform you that you have more choices in regard to home comfort than you may be aware of. I am an HVAC Solution provider. I can give you options (choices) and recommendations based on your budget as well as what kind of comfort you are looking for to cool and heat your home. Communication is key for you to get the kind of comfort you are looking for your home. I work 362 days a year. I know what you’re thinking… ‘that’s impossible’. I originally thought that myself. But because I install AC systems myself I have the ability to correct many installation problems upfront during the installation where as an installer may just view this as another ‘job’… if it doesn’t work the company will send someone else to fix it. (Hopefully) Air conditioning replacement is typically a once in 15 year thought when done right. Those reasons are what makes me able to work 362 days a year. It is extremely rare that I must go back to an installation, due to a problem and in many cases if I do they are typically only minor problems depending on how much of the HVAC system was replaced. If you choose me (Austin Air Companie) I work for you, this isn’t just a job to me, this is my profession and my career. I don’t run a gimmick of the month service which is how I am able to give you the best service available. My AC service is worth what you pay for it. Technician roulette wheels with varying opinions among techs only goes so far. I say this from my own personal experience… yours may be different. Air Conditioning done right is a 15 year appliance (national average). Certainly I can get busy, there are a good many of AC companies posing as professionals that are not. I have found that it’s easier to take a hands on approach rather than pass it off to someone that likely doesn’t have the experience and skills that I possess let alone the attitude to do the job as it should be done. The cheapest way to resolve this problem is to live with what you have. So if you are here thinking there is some magical method to solve this problem I am here to tell you straight, there is not. The cheaper you try to fix this the more likely it is you will create additional problems up to an including the destruction of your HVAC system. I am here to do the job right, if you want snake oil you will have to look elsewhere. Temperature controls also known as thermostats, are what is used to cycle your air conditioner on and off. These are merely elaborate switches that turn the HVAC system on or off. Most air conditioning systems are either on or off single speed air conditioners. If you live in a humid climate like Katy, Texas and your goal is comfort then you will probably be best advised to consider a 2 speed air conditioning and heating system with dehumidification functions. Putting cooling or heating where it is needed within your home. Comfort. You know that fuzzy feeling you feel on a brisk autumn day. Imagine that everyday all year long in the favorite room of your home. Remember what I said earlier: ‘different mindset, requires different thinking’. Due to energy costs your budget may not include cooling the whole home as cool as you would like it in the bedroom, unless the home’s foot print is very small then you probably wouldn’t need zoning. HVAC Zoning for sure isn’t for everyone it is a choice and design enhancement to obtain more comfort and make your HVAC system performance the best it can be. The thought behind zoning is to put ‘conditioned air’ where you are at in the structure. (In this example: your home.) The idea is that you can only be in one room at a time. Thirty three percent of your life will be spent in the bedroom. (eight hours divided by 24.) The lack of a good night’s sleep can effect your entire day. By making your bedroom more comfortable via zoning can make other rooms perform better in heat waves by closing the zone to the bedroom when not in use. The capacity of the system under this scenario would then be provided to supplying comfort to other occupied areas of the home. Because people are creatures of habit and often go to bed the same time every night the thermostat for those zone(s) can be programmed easily to control temperature without much thought or fuss. Another way to think about zoning is your home’s plumbing and electrical systems. You have more than one faucet in your home right? More than one light switch? These are other examples of zoning that reside in your home already, to help you understand what zoning is. Just realize that zoning an HVAC system ‘properly’ is a bit more complicated than electrical and plumbing systems. I emphasize the word ‘properly’ because there are many zone systems as well as basic AC systems that do not work the way they should. Design means everything and in some cases a zone system may not work for what you want to do. This is the definition of a true professional in which you are sold a solution to your problem and not just selling something to be selling something. If you catch my drift. I hope this blog post eliminates some confusion with this very common problem as well as highlights your ability to go about correcting this problem to your satisfaction. Remember this is an advanced problem, there is nothing ‘basic’ about it. If you don’t go into it with the attitude of doing it right, it very well could be very costly with little to no help solving the actual problem. Problem solving by definition should be to solve the problem ‘without’ creating additional problems. Otherwise you’re likely buying ‘snake oil’ to one degree or another. Air conditioning repairs, AC service or new AC equipment installations require the magical little word called ‘SERVICE‘. Without that word you’re in big trouble if a problem develops with your AC system. What does that word mean to you? This little word ‘service‘ is what in many ways separates one AC company from another. Now all things aside some people view service differently than others. Maybe due to household schedules or whatever. However, your AC system whether new, a few years old or even a decade old or older can break down at any time. Brand of the equipment doesn’t matter all that much in most cases. Weekend, Night time, Holiday, etc. An air conditioner doesn’t know time like you or me. So why is this important? If you buy a new HVAC system and it breaks down, your best option to repair it is thru your installing HVAC contractor, because this is who you bought the system thru. It would be a ‘HUGE’ conflict of interest to let another HVAC contractor repair your HVAC system that was installed by another. If your HVAC system is older and out of the manufacture warranty envelope then it only matters to what degree you trust the HVAC provider that you are calling. So why then is this a conflict of interest to have Company ‘B’ work on a new HVAC system installed by Company ‘A’? Because lets say you have two companies without mentioning names… you have company ‘A’ and company ‘B’. Company ‘A’ installed your new HVAC system. Your new AC system is now broken and you call ‘A’ but they are closed, don’t answer their phone, goes to voice mail or maybe after hours call service in which you sit on hold for who knows how long only to be told after waiting on hold –that an on call person will call you back in some cases hours later. Say What? So you think… not clearly due to the excess heat in your house, that you’ll just call another company that services HVAC equipment. Company ‘B’ answers the phone not realizing they are a 3rd party to your otherwise inoperable dilemma. Say they come out diagnose the system for you, charge for labor and other things not covered by your manufacture warranty. They leave, the system works for awhile then breaks down again. You now decide to call company ‘A’ back. After investigating the system Company ‘A’ determines someone else has been working on it and decides to take the brash approach of denying a warranty claim on your otherwise new AC system. You are in a bad position to say the least. Another common scenario to this is Company ‘A’ the installing company of your new or fairly new HVAC system is called back during normal business hours, they make a repair to the AC unit under warranty terms of the installation charge for labor or whatever charges aren’t covered by the warranty of the AC system. The AC system works for awhile and then breaks again OR the AC system doesn’t work at all still or worse than before. Part of the reason some of these HVAC companies exist is to replace HVAC systems with no service or technical department to repair the systems they sell. A good deal is a bad deal in short order. Sometimes they may brag about how many HVAC systems they have installed. But they never mention how many of them they still service? You see the problem with that? QUALITY over quantity OR QUANTITY over quality. Which would you want? A parts changer is defined as changing parts without proving the part has actually failed. A guess is a guess. Guessing will not fix or repair too many air conditioning systems. Believe it or not you will pay for it one way or another. Why not do it right the first time? This is what I am (Licensed HVAC Contractor), you can’t run a HVAC company in Texas (legally) by any other means. If you hire someone working under another license (commonly AC Technician) your recourse for AC problems that develop with your system goes thru them. If it is a ‘side job’ installed by a technician it is unlikely the warranty covering that system is worth the paper it’s printed on. I take the HVAC contractor thing to the next level in that I do all my own HVAC installations and AC repairs. I don’t use Technicians, Subs or Installers. I have found I can offer much better quality when I’m fully involved in any project whether it is repair, replace or SERVICE! (It is actually me writing this blog – Ray Austin. No one can be me, but me.) Subscribe to my You Tube Channel here. There are little disclaimers within the warranty limitations that protect manufacturer’s from unlicensed, unskilled people from selling, installing and or servicing equipment. Improper installation is not warrantable just as much as purchasing equipment over the internet. If you have to resort to such methods imagine how much trouble you are going to have if your AC equipment fails unexpectedly? Side jobs are done in cash. A technician doing a side job doesn’t want any documentation because if his boss finds out he faces immediate termination from his regular job. You can’t hide a side job from a licensed HVAC contractor. If you don’t have any documentation of installation how do you expect to be covered by a Manufacture Warranty? 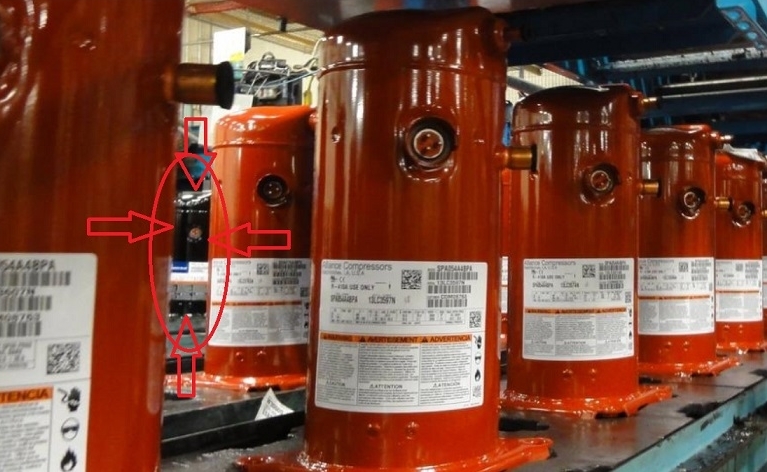 Every piece of AC equipment made has unique model number and serial numbers that are attached to the HVAC license that bought it. If there was no HVAC license present at the time of sale, the warranty is virtually worthless in most cases. A technician license is not a valid license in and of itself. In Texas, a valid HVAC contractor license is gold in color, a technician license is white. A technician license is merely a registration with the state. Send in your $20 and boom! You are now a AC technician too? Ironically it doesn’t mean much without EPA certification. The more you read here, the more you will learn. No Licensed HVAC contractor worth their ‘salt’ is going to warranty or install an air conditioner that you bought over the internet. You buy it, you install it and warranty it yourself. A new AC system install a few years old with problems and you’re calling a HVAC contractor that didn’t install it? What do you suppose this Licensed AC Contractor is going to think when he sees the equipment in question? Why aren’t you calling the HVAC contractor who installed it? This Air Conditioning blog is designed to help you make wise decisions when it comes to your choices regarding comfort decisions for your home. I hope you attained this information before making a costly mistake. All is not lost, costly mistakes are lessons, provided you learn from them and don’t repeat them. An HVAC system is, by a national average, a 15 year appliance and in some cases can last even longer when installation and maintenance is done properly and adequately. Notice I didn’t mention a brand name here, brand bashing is not professionalism by any stretch of the imagination. Nothing is perfect in an imperfect world. AC Equipment that I’ve installed myself has failure rates within the warranty period that run in a tight range of 2-3% annually. Most HVAC companies have new equipment failure rates often 8 times or higher than this figure. In some cases this may be due to a lack of maintenance by home owner, improper installation, improper diagnosis or out right incompetence. Please choose your HVAC contractor carefully and wisely. Nothing can make the alarm bells go off in your head more than AC problems in the summer time. Just the mere thought of this will probably gives you chills clear to your spine. Even worse is if you just recently had an AC repair and you live in Katy, Texas where the heat is enough to make you wilt after viewing the weather forecast. 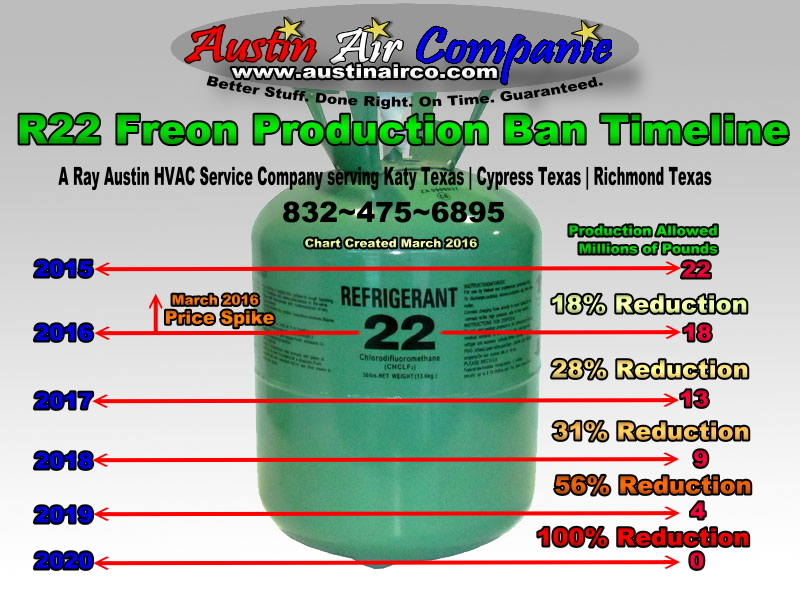 If you are a home owner living in or near Katy, Texas area with air conditioning problems this blog is for you. You have found the right place. I am a Licensed HVAC contractor. It’s important that I describe who I am so you can understand the difference from what my company provides as opposed to most of my competitors. Unfortunately not all HVAC companies are created equal. This might be why you are here anyway. I am what is known as a ‘working’ Licensed HVAC contractor. This difference is that I don’t use AC technicians, sub contractors or even installers. I do all of the work myself. The benefit from using one person is that the person that services, repairs and installs knows your system better than having multiple service people repairing or replacing your system. This will typically give you far less hassles, better service and less down time. This is what it’s all about right? Convenient, easy, dependable, professional service when you need it. You see, I am a unique victim of the financial crisis that hit U.S. shores over a half decade ago. I started my HVAC company during this time and in many cases what I have done is to go against the grain rather than with it, some may call this ‘disruptive’ because I have found that by doing things right and doing them well by myself, I can deliver a much greater longer lasting product when you decide to have me install a new HVAC system. Without me in the equation your odds are probably close to 40% success rate. Certainly, I also repair many AC systems too, but if the system is old and has had many people working on it over the years you have to be realistic in that they don’t last forever. From a national average standpoint the average life of an AC system is 15 years. Now just because your system may be this old or older doesn’t always mean you are forced to replace it. After I inspect your system I can give you recommendations and then you can decide what you want to do from there. In some cases a repair may be all you need, but this has to be assessed in person. I am not here to play guessing games. From those looking at my HVAC Company from the outside in, even professionals with in the industry view this as impossible for one man to do everything up to and including new system installations. What can I say? I have a lot of trade secrets that I have developed over the years and I am extremely efficient at what I do and in many cases I run circles around my competition due to this fact. Am I perfect? No, I’m human like anyone else. My failure rates typically hover in a range of 2-3% on equipment that I’ve installed myself. Failure rates on repairs can be higher but older equipment doesn’t last forever so you can’t really count that with a straight face. I only deal in reality, not fantasies and fairy tales. The failure rates I talk about above are failures within the warranty period of the equipment that I have installed myself. From a normal run of the mill HVAC company perspective they strive for failure rates of no more than 25%. So in other words, if you’re not using me as your HVAC service provider your HVAC equipment failure rate could be 8 times higher or worse! These HVAC companies deem this standard failure rate as ‘ACCEPTABLE’! Say what? In Katy, Texas during the summer there is really no job I do more than repairing AC systems. Pretty much any age, any brand and repairs ranging from electrical problems like breaker keeps tripping to compressor will not start or AC is blowing hot air, low cooling or no cooling. In some cases I have found some of these problems related to poor HVAC maintenance services. AC Services that you paid for earlier in the year to get your AC checked or tuned up. You have to realize that if the AC maintenance is not done properly it makes not one bit of difference how much you paid to have it done. Most of these AC technicians doing this kind of work may not be as skilled as you think they are. Certainly there are good reputable AC technicians out there. I was one of them at one point in my illustrious HVAC career, but the odds that you will get a good one are unfortunately quite slim. 1. Too many cooks in the kitchen spoil the broth. 2. Be original in all you do, if you’re any good some will try to copy you. 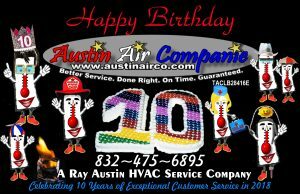 Just so you know it is me writing this (Ray Austin), the one who will actually come to your house to fix your AC or replace your HVAC system. You are in good hands, I have been doing this for 21 years as of 2016. So you might be asking yourself how do I do it? Work ethic. In America with hard work and dedication nothing is impossible. If you don’t think Air Conditioning is hard work then I am probably not the HVAC provider you are looking for. I am not running a scam operation here. I use my own name as the name of my company. I only have one last name. Why would I work as hard as I do at something only to destroy it with half truths or bold faced lies? I’m well aware you are on the internet and so reading isn’t always believing… this is why I go to the extent I go to. To do my best to prove it to you before you even pick up the phone to call me. To my knowledge, you simply will not get this kind of dedication in any competitor of mine. Subscribe to my You Tube Channel here. Did you fall for that special word free — Did your eyes light up? We’re humans and consumers rolled into one. But when you go to work do you tell your boss at the end of the week that this week is on you and you’re going to give him your hard efforts for nothing in return? The HVAC industry is built on gimmicks. These gimmicks are used to make the phone ring. But did you know that a free call to an HVAC company is really code word for “Please send me a salesman.”??? An air conditioner replacement is something you will be lucky to do 3 times in your life time if you are lucky. If you are unlucky you may do it double that number of times. Many people don’t realize the complexity involved in today’s residential HVAC service industry. Let alone the problem of finding a AC contractor that actually knows what they are doing. A salesmen call is a call in which someone comes to your home to do one thing. To sell you something, they will sugar coat everything, they may tell you your current unit is undersized for the home. How will you know anything different? In some cases you won’t even realize the HVAC company sent you a salesman. The easiest way to know is if there is no service fee for the call to your home. Why do you suppose? You have to think for a moment. The salesman is paid on commission. The salesman makes no money unless he sells you something. It doesn’t matter one bit what your interests or problems are. The salesman in most cases has only one interest and that is to sell you whatever he can, the more the better for him. This is the hidden cost of a free service call. They talk you into it and convince you. It’s a cat an mouse game to say the least and many people fall victim to these high pressure sales tactics all too often. What happens if you have trouble with whatever the salesman sold you? You’re left to get service people of that company involved. Better hope they are as good as the sugar coating the salesman sold you. Yes this adds more people to the equation to find a solution. The salesman is out of the loop, he’s not coming back most likely because he’s paid on commission remember? He would just come back to try to sell you something more… it’s what they do. Now certainly if you call me and want me to pretend to be a salesman I can play along. I’m flexible. But my goal isn’t to just sell you something for the sake of selling you something. My goal is to become your HVAC provider. Solve the problems you have now and be available to solve future problems. If I sell you something and you have a problem with it you pick up the phone and call me. Doesn’t this sound better than the aforementioned way? Do you see the difference? One guy (Licensed HVAC Contractor) to take care of all your HVAC needs. Sounds too simple right? My way works… Less hassles, better service. I wouldn’t be writing this blog myself in the heat of summer if my way didn’t work. Please choose your HVAC service provider wisely. Thank you for visiting with me today. I hope I helped you understand things more clearly and above all I hope your day is comfortable. You go outside and take a look at your AC condenser, you peer inside see a few parts and say “hmm, this doesn’t look very complicated.” I think I could do this myself. I can’t tell you how many times a year that I get calls from people who thought they could fix it themselves only to make the repair more costly because they damage something or worse yet spin the unit so far into the ground to the point it is not worth repairing. I named this subject this way to hopefully warn those who think this way is really a rational way to solving their AC problems. Your home is the most expensive asset you will likely own in your lifetime. You should be more interested in protecting this asset than potentially destroying it. Hopefully I am saving you from the extremely possible nightmare that lies in front of you. Worse still is if you think you can buy the equipment online and then get someone to install it for you. Certainly you can buy the equipment online. This is no secret, but if you have a problem with the unit, if a part fails look at the fine print on the website from which you plan to buy this equipment from. No one installing the equipment for you will warranty anything you bought online, that becomes your burden. When you don’t have the HVAC licensing backing you up you’re in shark infested waters to say the least. A Technician does not have an HVAC license. A Technician has only the ability to work under the ‘SUPERVISION’ of a Licensed HVAC Contractor. A Technician who does ‘side’ work, faces immediate termination from their job in most cases if they’re caught. Why do you suppose? Any person willing to install equipment for you this way is likely not worth their salt anyway. Now think for just a few seconds on how I could possibly know this. Ah-ha the very important difference between a Technician and a licensed HVAC contractor. What happens if the Technician burns down your home while trying to install a AC system on your property? What happens if after the Technician installs the system on your property and the AC system does not cool well? Who will take the blame? The Technician will likely blame the equipment and thusly you because you bought it. Do you see the error of your ways yet? Without a HVAC Contractors license backing you up you have no recourse what so ever. You are ‘STUCK’ in a big bad way. Ok, So now prove it to yourself with what I just said: visit the manufacture website of your choice and find out the fine print of the warranty documents they provide: purchases of equipment online the warranty is void. Go ahead and look if you don’t believe what I am putting here. Every Manufacture has an Online purchase policy, it makes no difference which manufacturer’s product you choose. Ah yes the fine little details to keep your home legal and avoid serious health problems, not to mention damage to your home up to and including burning it to the ground or turning it into a health hazard years later with mold growth. Watch the evening news. There are at least a half dozen stories a year in which a fire originates in the attic of a home. Why do you suppose? As a Licensed HVAC contractor myself I am required by law to be licensed within the segment of the HVAC market in which I perform work for others. On top of this licensing I am required to carry General Liability Insurance, not to mention commercial vehicle insurance. I am also required to follow current building codes, this type of knowledge and know how is to ensure you get what you are paying for. I am what is called a ‘working’ HVAC contractor. I do all the work, including new HVAC installations. From a quality stand point on the product(s) I offer there is no substitute. I back this quality pledge up with prompt service after the sale should your new system ever need repairs. If you take any other route to accomplish this you are on your own. There is no HVAC company I know of that will stick their neck out on a HVAC installation gone bad. The cure in many cases is to rip it all out and start over. Remember hindsight is always 20/20. Certainly you had a home inspection prior to buying your home didn’t you? But you think you are somehow going to pull a fast one and when you go to sell this home that others will forgo a home inspection prior to buying it? Certainly you could sell the home to the ugly home buying people, but they will only give you pennies on the dollar for it. So much for your home being an asset. Realize what I say in this blog post is a ‘popular theme’ these days. Part of my job as an HVAC contractor is to deal with the dirty side of the market and warn those who may be thinking such things. The lure of what appears to be a ‘great deal’ winds up being a great deal of trouble up to and including the loss of your home and maybe effects on your health. When it comes down to it, all I can do is warn you. In 21 years of doing this for a living, I can tell you it matters not one bit how much I write or warn about this subject. There are always those who must learn by experience rather than by me warning them. Hopefully ‘you’ are not one of them.